CALLING ALL BUG LOVERS AND TREE HUGGERS. Ahem, please excuse our language; we mean entomology and horticultural enthusiasts. Saturday, March 14 marks the day you’ve all been waiting for: The return of the Butterfly Habitat at the Springs Preserve. 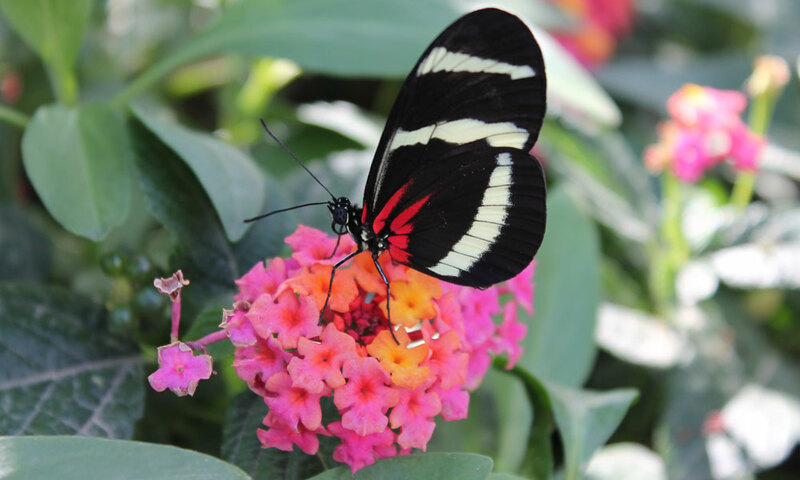 This seasonal exhibit features hundreds of butterflies including Mourning Cloak, Red Admiral, Painted Lady, American Lady, Monarch and Queen. Witness the steamy love affair between the plants and the butterflies who love them, regardless of how many others have licked their stamens before. This is kind of a big deal for those of you “in the know.” For the rest of us, this is as close as you’re going to get to butterflies landing on you since that hallucination you had during your experimental mushroom phase in college. The exhibit is open every day from 10:00 a.m. to 3:00 p.m. through May 31 and it’s just an additional $2 (for members) or $3 (for non-members) on top of your Springs Preserve admission. While you’re there, check out Chocolate: The Exhibition. An immersive experience into the world of a lowly little plant that became a cultural phenomenon. This exhibit is traveling across the country and will be leaving Las Vegas on May 3.